Halloween Window Decorating Contest Winners! 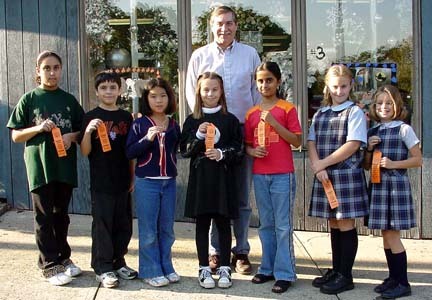 During mid-October, the Hasbrouck Heights [Chamber of Commerce] sponsored the 10th Annual Halloween Window Painting Contest in conjunction with the three grammar school PTAs. Approximately 300 third, fourth and fifth grade students participated.The children painted a Halloween theme illustration on window spaces that were provided by most Boulevard businesses. 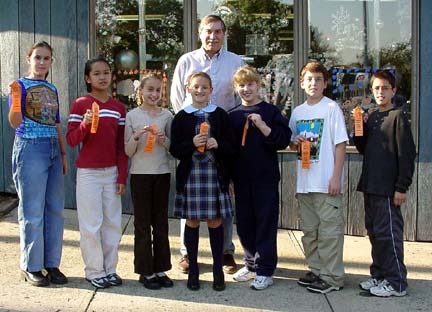 Graphics were judged upon originality and artistic expression, winners from each grade received 1st, 2nd and 3rd Place Ribbons. 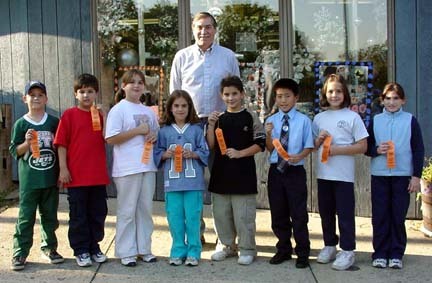 All participants received ribbons. Thousands of area residents enjoyed the bright exciting demonstration of creativity that these youngsters had to offer. Event chair Bill OShea stated that, "this was one of the best years ever", and thanked the chairs Linda Santangelo (Corpus Christi), Laura French (Lincoln) and Maria DeQuinzio (Euclid) and their staff for all their help.